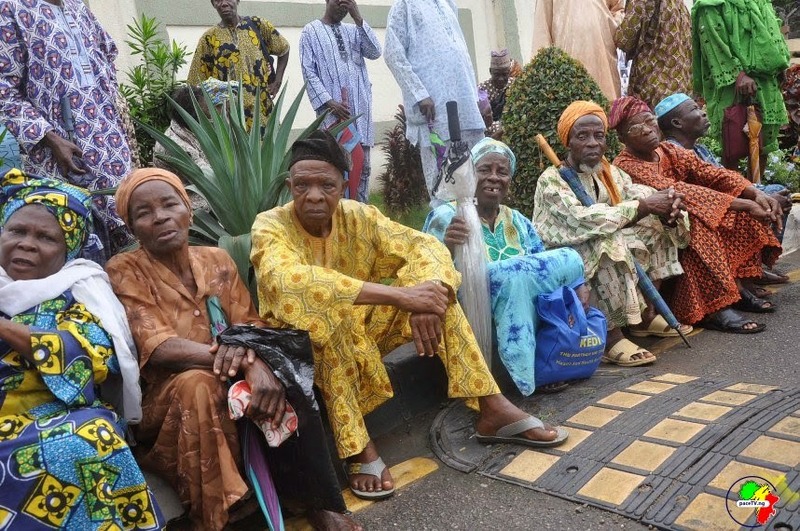 Federal retirees, under the banner of Nigeria Union of Pensioners, on Thursday accused the Federal Government of using their 10 months unpaid contributory pension to support the electioneering campaign project of President Goodluck Jonathan. They said the action subjected them to abject poverty. The retirees made the allegation at a press conference in Abeokuta, Ogun State, while protesting their unpaid monthly pension. They said over 20 of their colleagues died in the struggle to have their pension paid. The over 100 protesters carried placards with various inscriptions such as “We have suffered enough after 35 years service to our fatherland”; “PenCom is owing retirees 10 months arrears of unpaid pension and gratuities”; and” N4.6 trillion has been used for campaign, Abi na lie”. The leader of the pensioners, Samuel Kojusola, said the association noticed some anomalies in government’s implementation of Reform Act 2014. He listed them to include computation and compilation of retirement benefits, meagre amount paid as monthly pension, review of pension and non-payment of retirement benefits. “What do they want the retiree to be eating after serving Federal Government of Nigeria for 35 years meritoriously? We suspect that our money in the kitty of Pencom has been used for 2015 electioneering campaign,” he said. He also lamented that almost a year after the Pension Reform Act 2014 was signed into law, contributory pensioners in Nigeria were yet enjoy increment on their pension since 2007 till date. The chairman said pension review was a constitutional right of any retiree in Nigeria as enshrined under Section 15(4) of the new Act. “Pension Reform Act 2004 section (4) stipulated that retirees will have not less than 50% of their last pay as monthly pension as at the date of their retirement. None of the retirees enjoy this amount since the inception of the act till date. Unfortunately the portion has been expunged from the new pension reform act 2014. What have we done to deserve this ugly treatment? This is a leeway for PFA’s to milk us perpetually,” the pensioners lamented.